A pair black men arrested at a Starbucks in downtown Philadelphia last month have found a new mentor in the megachain’s chief operating officer, Kevin Johnson. “The CEO of Starbucks is going to personally mentor these two young men going forward. After they met, he was so impressed and they were so impressed with one another that they’re going to have a continuing relationship,” attorney Stewart Cohen said during an appearance on Good Morning America. He was speaking on behalf of his clients, Rashon Nelson and Donte Robinson, who were cuffed and escorted from the Philadelphia cafe on April 12 while they were waiting for a friend to show up for a previously scheduled business meeting. The manager called law enforcement, claiming the men refused to buy anything and that they would not leave. Nelson and Robinson spent a few hours in jail before the trespassing charges were dropped and they were released. But video of the arrest quickly went viral online and sparked swift backlash as well as protests over racial profiling. “We’re working together on putting together this curriculum to provide these tools to these young students,” Robinson said during his appearance on GMA. Nelson said he looked forward to working on reforms including racial bias training with Starbucks and its CEO. 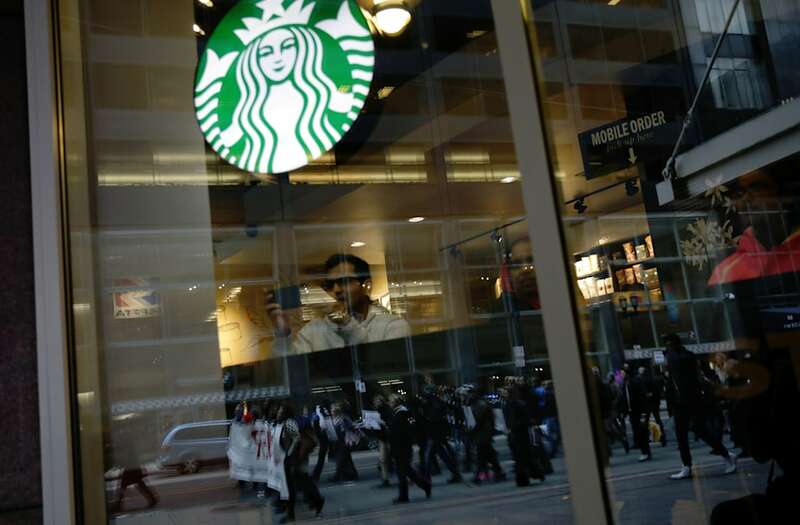 “Hopefully other companies will take what Starbucks is putting into perspective,” he said.